Amid today's major smartphone announcements, HTC found a way to sneak in and land a surprise party in our yard. It announced a flurry of unexpected devices that certainly surprised us as we can't say we were expecting these. Regardless, here's what HTC got in store for us, and these are the Desire 530 and 630. Sharing the same design but sporting mostly different specs, these new Desire phones are some rather interesting additions to the mid-range Android scene, mostly due to their playful design that might capture the younger crowd. That's courtesy of the sprinkled color blobs version of the phones, which feature lots of specs and splashes of colors - definitely a stand-out feature! Going under the hood, it quickly becomes clear that HTC has really intended these for the entry-level and mid-range markets. The Desire 530 comes with a 5" 720p display, a quad-core Snapdragon 210 clocked at 1.1GHz, some 1.5GB of RAM, as well as 16GB of native storage, and a microSD card slot for expansion purposes. There's an 8MP rear camera with an f/2.4 aperture, while the front of the handset has a 5MP snapper with f/2.8. We're dealing with an LTE enabled handset that has a 2,200mAh battery and an Extreme Power Saving mode on board. Marshmallow is on board, which is undoubtedly nice. Now, on to the more powerful Desire, the 630. It also comes with a 5" 720p display, but the chipset on board is a quad-core Snapdragon 400, ticking at 1.6GHz. 2GB of RAM is on board, along with 16GB of storage and a microSD card slot. We have a 13MP rear camera with an f/2.4 aperture, while the front-facing 5MP one rocks an f/2.8 aperture. This one's also LTE-enabled and has a 2,200mAh battery, too. Not too shabby, right? Finally, we've got the the HTC Desire 825, which features a 5.5" 720p display. Also powered by a Snapdragon 400 chipset, this one comes with 2 gigs of RAM and 16GB of internal, expandable storage as well. The main camera is a 13-megapixel one and is capable of 1080p video recording. The front snapper is a 5MP one. The phone is powered by 2700 mAh battery and runs on Android 6.0 Marshmallow. HTC has not reached out to us in regard to the pricing and availability of these three. A well-kept mystery, that is. SD 400? lol,it looks like bit fail,otherwise design looks decent. That design kind of reminds me of the starlight headliner Rolls-Royce is using in the Phantom nowadays. But I'm not entirely sure if I like it. I feel like it should be a bit more subtle. Why does the desire 825 have both capacitative keys and on screen keys? The UI should enable you to disable the on-screen navigation, still confusing nonetheless. Unless they're worth $100 or something, 32 bit phones / SD210 paired with 720p makes no bloody sense! They look pretty cool at least. There are reports of some Hi-Quality audio too! Which makes PERFECT phone for me - good audio, nice display, SENSE UI and non--gaming performance. As long as its decent for internet usage - PERFECT phones. 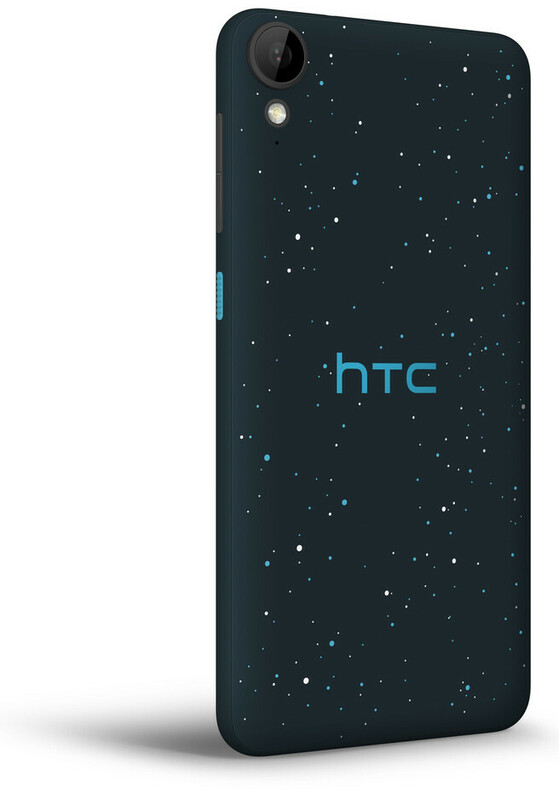 But knowing HTC, 825 its gonna be like 300 bucks.